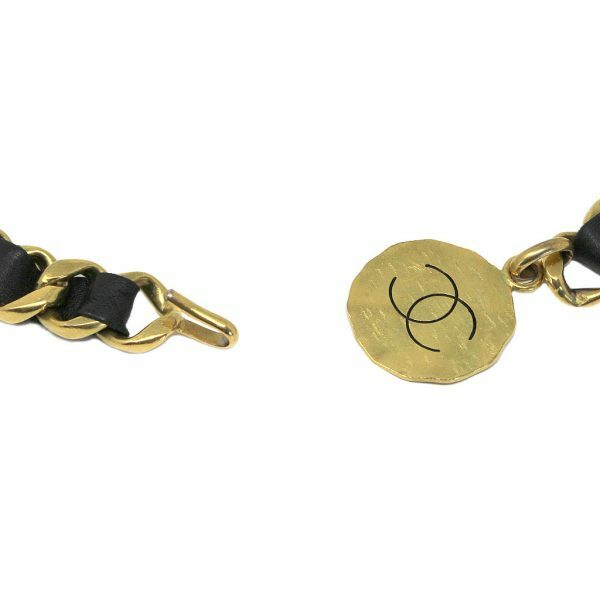 Condition You’re viewing this super gorgeous Chanel GHW Black Lambskin Vintage Chain Belt. 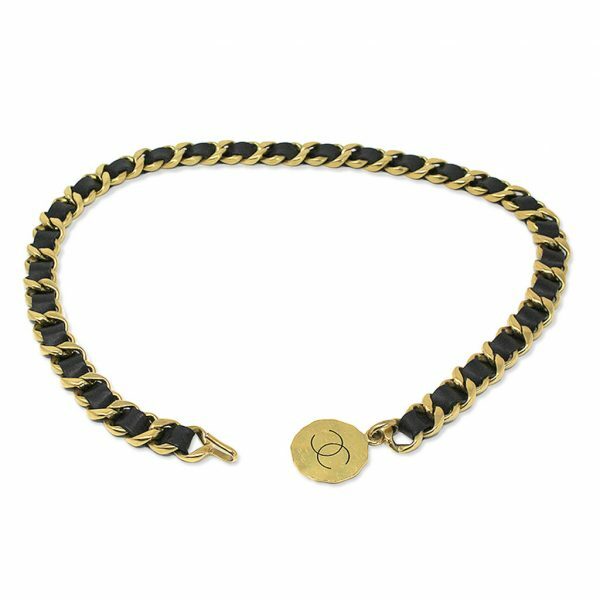 This belt has a total length of 38 inches, including the monogrammed Chanel medallion. The belt will fit up to a 35″ waist once hooked closed. 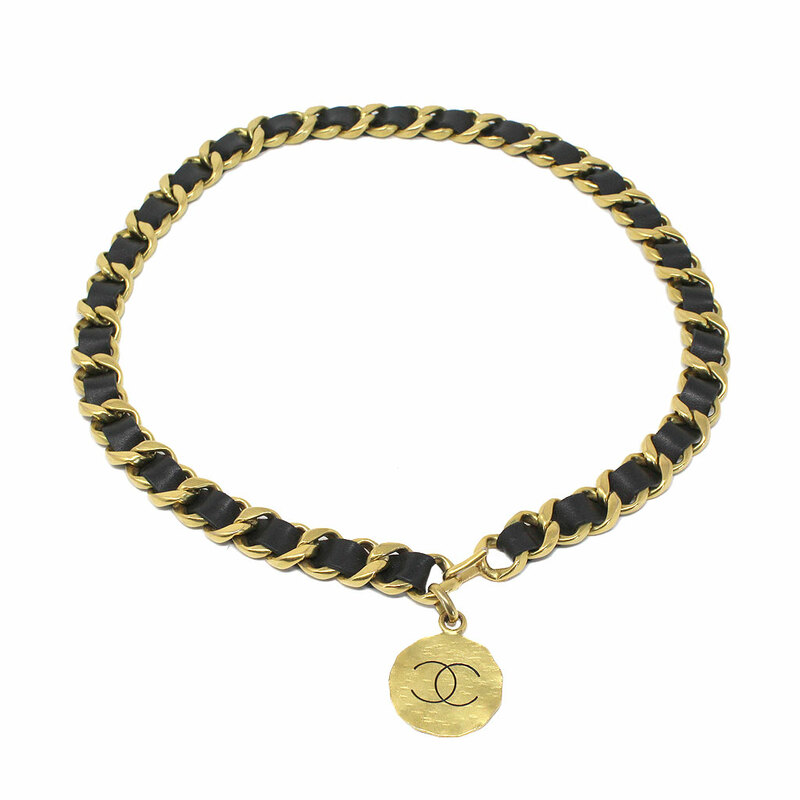 The black leather is braided into a thick gold chain. 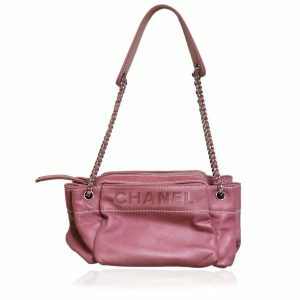 The leather is in excellent condition and shows no scratches, scuff marks, or tears. 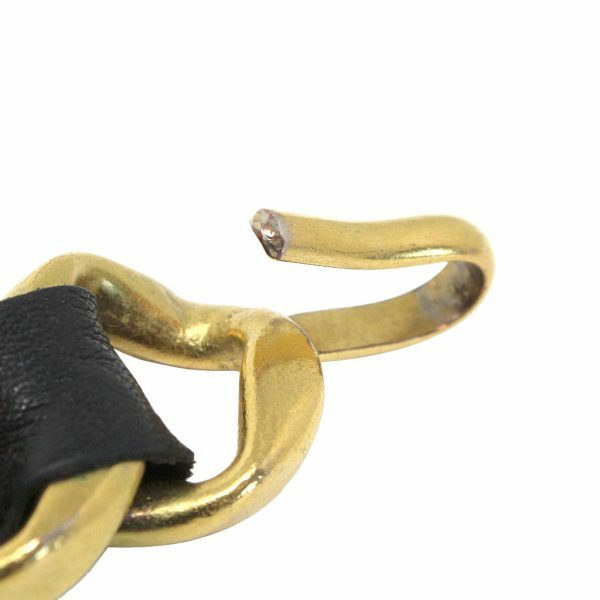 The gold chain is also in excellent condition but does show visible scratches from wear. 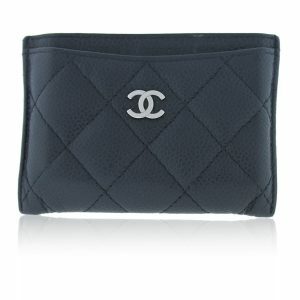 The gold Chanel medallion is also in excellent condition and the hammered design in the medallion is part of the design. 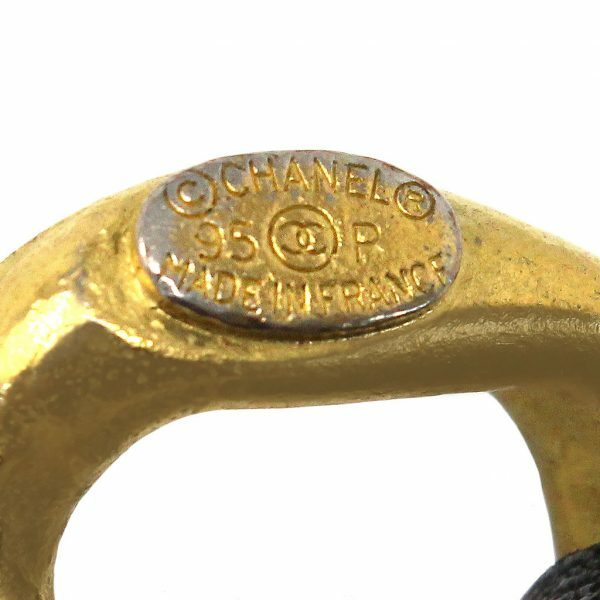 The belt is stamped Chanel, Made in France on the back of the hook closure. 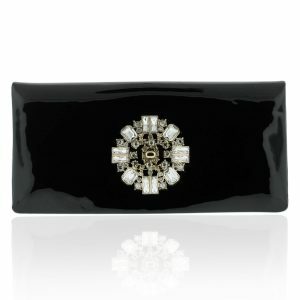 This belt is 1 inch thick and will look beautiful when worn for formal, casual or professional wear. 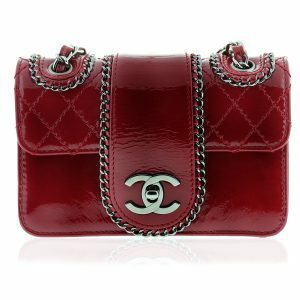 Make us your best offer on this 100% authentic vintage Chanel belt or buy it now before it sells!